“Breaking a shackle of Palestinian prisoners”. 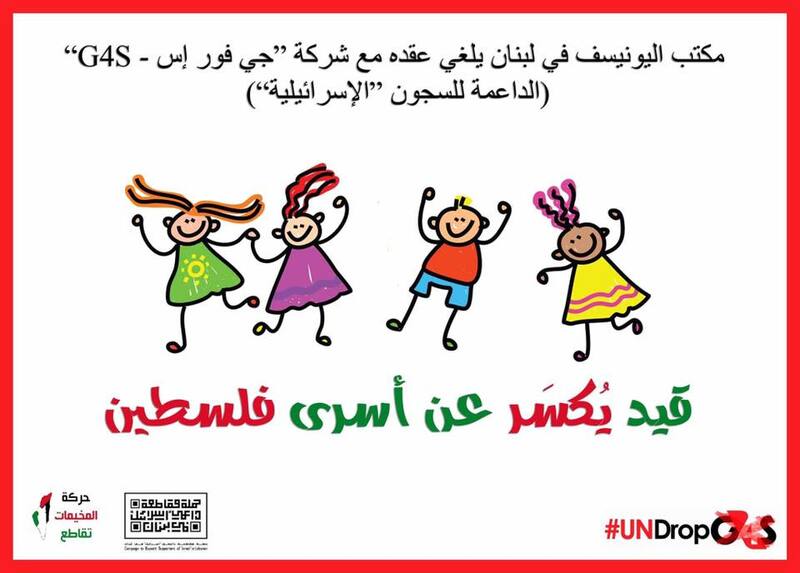 The United Nations Children’s Fund in Lebanon ends its contracts with occupation profiteer G4S. This is an important victory to the #UNDropG4S campaign, which was launched in 2015 by BDS activists globally, urging the UN to end its relationship with occupation profiteer G4S. Since then, four UN agencies in Jordan have heeded this call and, now, the domino effect is starting in Lebanon. via the Palestinian BDS National Committee.